Ok so I've been purposely staying out of Target b/c it always woos me into wanting pretty things but a girl has to re-up her toilet paper and face wash at some point and it sucked me right in! Instead of buying I just took pictures and had a lovely conversation with a spunky little grey haired man about prices these days. He thought it was a fantastic idea to take pictures to do price comparisons and then I told him I was just window shopping and I thought he was going to buy me some polka dot drinking glasses! It was the sweetest conversation and I am pretty sure we made each others day. How cute are these bread boxes! I saw an excerpt in my latest O mag that says there's 'no other pattern that makes you as instantly happy' and I have to agree. 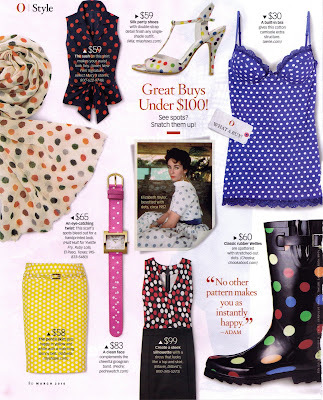 Polka dots = happiness every time! I'm thinking I'm gonna need some peppy rain boots! yeah but I can't help it I love 'em. 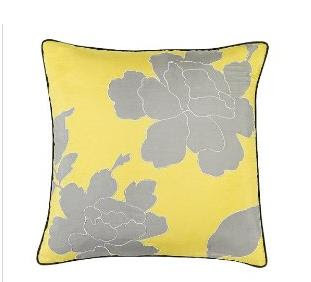 I love plopping down in a sea of pillows and these Dwell Studio for Target ones are so pretty! This peony one is MUCH prettier in person, it's silky and elegant and wants to live on our bed. 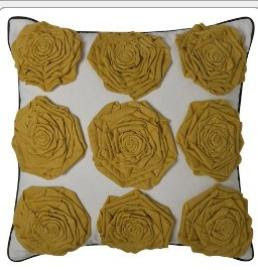 And this one also comes in brown and would be perfect in the living room with the teal! I am in utter disbelief that it's been a full week since Esalen and all the magic that happened there! Feeling very thankful for the experience and for this beautiful life of mine. Thanks for reading and I hope you are feeling the love today! TGIF!